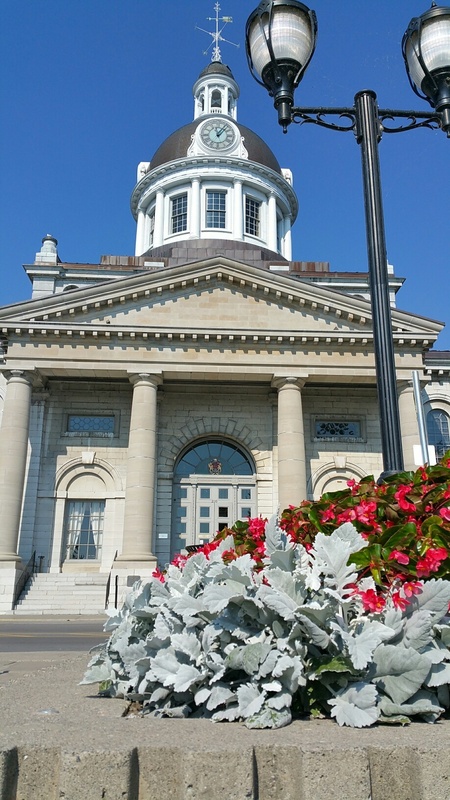 We had some business to do in the Kingston area so decided to make it a day trip and see the sights of that city and nearby Wolfe Island. It is just over an hour to the east of us, either by free ferry and an older highway along the coast or the faster, but long way around using #401. From Kingston we took another free ferry to Wolfe Island, just 15 or 20 minutes from downtown. It has a small village and a number of old farms and some newer wind farms. 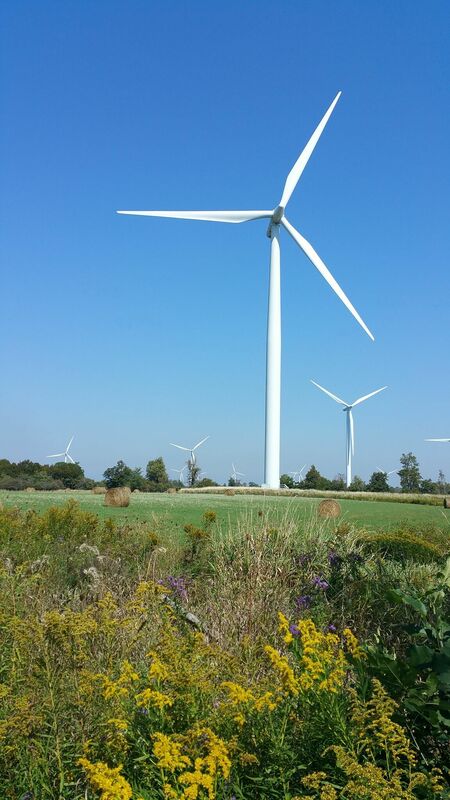 Because a great debate is raging in Prince Edward County about proposals to build large wind farms in windy areas near the south west coast of the county, about 20 minutes from our place, we were very interested to see the wind farms. We found them to be more attractive than we thought that they would be but I am not sure what I would think about them close to my house. I like the idea of clean, renewable energy being produced by the wind but am not sure what are the best places for it. We noticed that farming seemed to be continuing without too much disruption around the wind farms. Just several of the dozens of wind turbines on Wolfe Island. Click to photo to enhance it and see more in the distance. 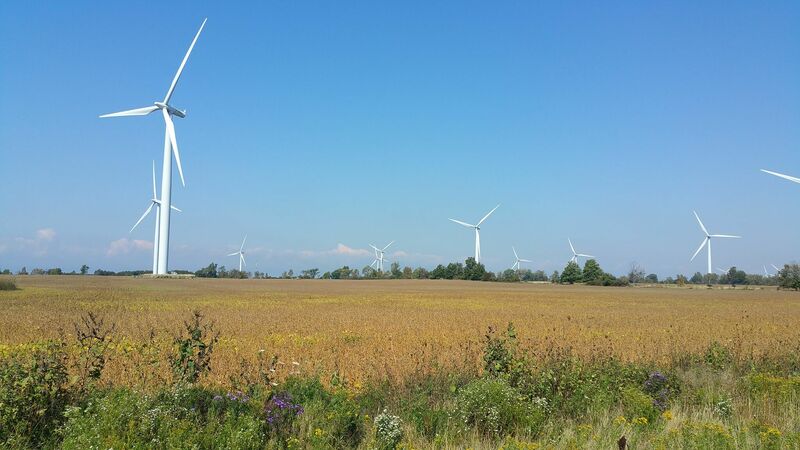 We understand that many farmers on Wolfe Island support the wind turbines because they can continue farming most of their land and, at the same time, receive revenue from the company that operates the wind turbines.